Browse Play for more articles like this. 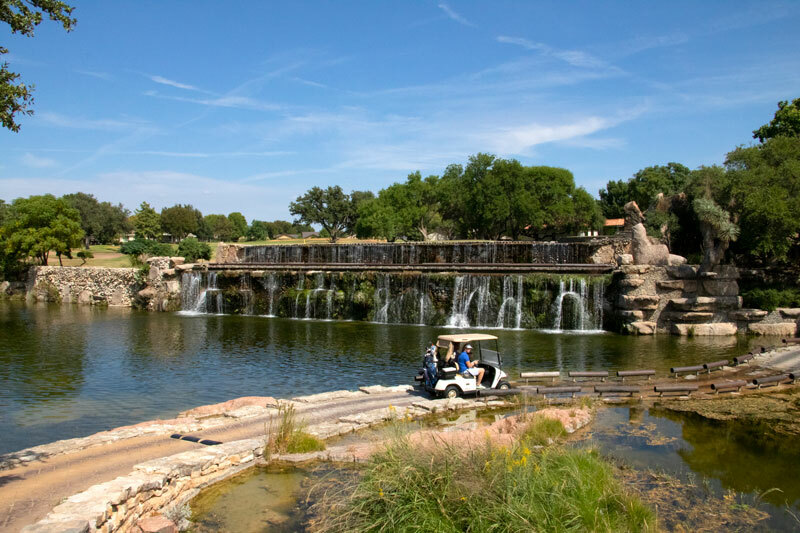 Whether you enjoy just hacking the ball around or believe you have a shot at the PGA Tour, the Highland Lakes has a golf course to suit your style. Blue Lake Golf Club, 214 W. Bluebonnet Road off RR 2831 in Horseshoe Bay — This semi-private course is rated among the best nine-hole courses in Texas. 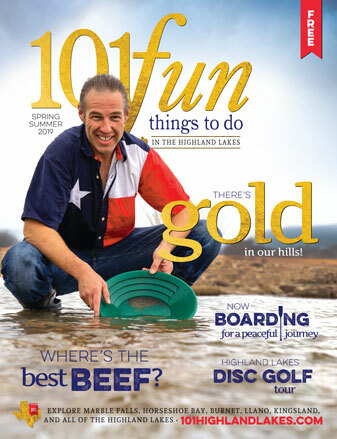 Go to bluelakegolf.com or call (830) 598-5524. Delaware Springs Municipal Golf Course, 600 Delaware Springs Blvd. in Burnet — This 18-hole championship public golf course includes a pro shop, a driving range, a putting green, a snack bar, and a dining room. Go to delawaresprings.com or call (512) 756-8471. Escondido Golf Club, 9090 RR 2147 in Horseshoe Bay — Tom Fazio designed this 18-hole private course that makes use of the incredible natural terrain and waterways as well as some dense stands of live oak trees. Go to escondidotexas.com or call (830) 598-7800. Hancock Park Golf Course, 237 Naruna Road in Lampasas — Owned and operated by the city of Lampasas, the course features a natural creek winding through 18 holes. Go to cityoflampasas.com or call (512) 556-3202. Hidden Falls Golf Club, 220 Meadowlakes Drive in Meadowlakes — Play a championship, 18-hole golf course that features six tennis courts, a swimming pool, and a full-service restaurant and bar. Go to hiddenfallsgolfcourse.com or call (830) 693-3300. Horseshoe Bay Resort, 200 Hi Circle North off RR 2147 in Horseshoe Bay — The courses are limited to resort members and guests. Go to horseshoebaytexas.com or call each course for tee times. • Apple Rock — This course was recognized by Golf Digest as the best new resort course when it opened. Call (830) 598-6561. • Ram Rock — It's respected across the United States as one of the toughest courses you'll ever play. Call (830) 598-6561. • Slick Rock — It is recognized in "America's Greatest Golfing Resorts" and the site of the Texas State Open and numerous USGA events. Call (830) 598-2561. • Summit Rock — A Jack Nicklaus Signature Golf Course, it is open to Summit Rock club members. Legends on Lake LBJ, 105 Range Way Circle (FM 2342) in Kingsland — This 18-hole, par-72, semi-private course is open to the public. Go to legendsgolftx.net or call (325) 388-8888. Llano River Golf Course, 2835 RR 152 West in Llano — This 18-hole public course with a fully equipped pro shop is situated on the banks of the beautiful Llano River. Go to llanorivergolfclub.com or call (325) 247-5100. Lighthouse Country Club, 118 Club Circle on the corner of River Oaks Drive and Skyline Drive in Kingsland — A semi-private, 18-hole course situated on smooth, rolling terrain. Go to lighthousecountryclub.com or call (325) 388-6660.